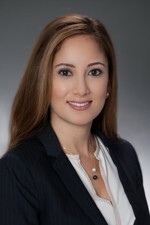 Samantha Rhayem defends clients in insurance services cases. In addition to advising clients in commercial insurance coverage litigation, she also handles matters involving bad faith claims. With experience in all phases of litigation, Samantha works with her clients to ensure they are informed throughout the process. Before joining Hinshaw, Samantha practiced at a firm in Boca Raton, Florida. During law school, she was a law clerk and summer associate at the headquarters of a Ft. Lauderdale-based firm. Samantha was also an intern for the Honorable Ellen Sue Venzer in the Eleventh Judicial Circuit Court in Miami, Florida. In addition to her other law school activities, Samantha was the Executive Editor of the University of Miami International & Comparative Law Review.